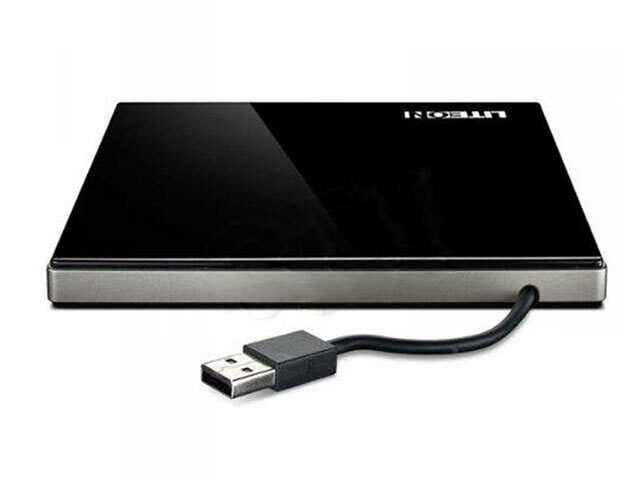 Our slimline optical drives are suitable for all our Mini-ITX cases that require slimline drives. Drives come without a slimline IDE or SATA adapter or Mini SATA cable. Some Mini-ITX cases include a slimline IDE adapter (check the case description). 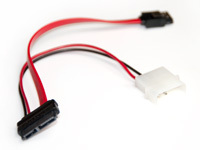 Tip: Most of the time you will need our Mini SATA Cable combined with a SATA Slimline Optical Drive, as most Mini-ITX motherboards now have SATA connectors. Please note: These are *not* necessariy direct replacements for your laptop or Macintosh hard drive - connections and dimensions can be slightly different. If you intend to purchase for something other than our products - send us an email with a photo of your drive first! This cable allows you to connect a Slimline SATA Optical Drive to your Mini-ITX motherboard. The single end consists of a standard SATA data connector and a Mini SATA power connector (smaller than a standard SATA power connector). The other end consists of a standard SATA data connector and a 4 pin Molex HDD power connector. For connecting motherboards with SATA to Slimline SATA Optical Drives (eg. Sony Optiarc AD7590S or AD7670S). Suitable for use in rackmount chasiss where cables need to be slightly longer. Cable length: 400mm. Picture is of shorter cable! The Slimline CD to Desktop IDE Adapter is an adapter used for converting a standard ATA laptop CD-ROM or DVD drive with a standard 50-pin connector to a desktop enhanced IDE 40-pin connector. Power is supplied through a 3.5in 4 pin mini connector (i.e. floppy connector). 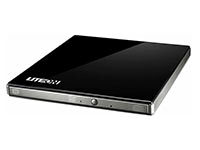 Suitable for use with Panasonic CW-8124, UJ-845, Sony Optiarc 7590A, 7593A, 7630A and many more ATA Slimline Optical drives. Not suitable for SATA Slimline Optical drives. 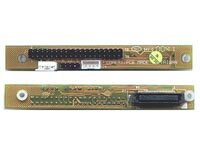 For connecting motherboards with IDE connectors to an ATA Slimline Optical Drive. 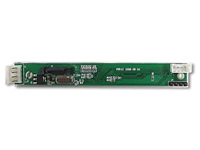 The Slimline Optical to SATA Adapter is an adapter used for converting a standard ATA laptop CD-ROM or DVD drive with a standard 50-pin connector to SATA connector. Power is supplied through a 3.5in 4 pin mini connector (i.e. floppy connector). Suitable for use with Panasonic CW-8124, UJ-845, Sony Optiarc 7590A, 7593A, 7630A and many more ATA Optical drives. Not suitable for SATA Slimline Optical drives. For connecting motherboards with SATA to an ATA Slimline Optical Drive. SATA Slimline SATA Optical Drives require a Mini SATA cable to function. 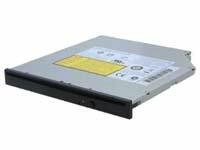 This tray loading LG Slimline SATA Dual Layer DVD-R/RW drive delivers 24X CD-R and 24X CD-RW writing speeds, with up to 8X Read and Write Speeds for DVD media. Dimensions: 128mm x 13mm x 129mm. This drive requires our Mini SATA Cable for SATA Slimline Optical Drives to connect to a SATA port on your motherboard. Specifications: CD Writing Speed:CD-R 24x, CD-RW 24x, CD-ROM 24x, DVD Writing Speed: DVD-RW 6x, DVD+R 8x, DVD+RW 8x, DVD-RAM 5x, DVD-ROM 8x. This tray loading Samsung Slimline SATA Dual Layer DVD-R/RW drive delivers 16X CD-R and 10X CD-RW writing speeds, with up to 6X Read and Write Speeds for BluRay media. Dimensions: 128mm x 13mm x 129mm. 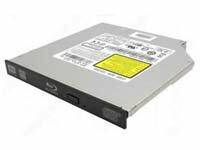 This slot loading Panasonic Slimline SATA Dual Layer DVD-R/RW drive delivers 6x BD-R (25GB and 50GB) and 4x BD-R XL writing speeds, with backwards compatibility with all the most popular CD and DVD media formats including DVD-RAM disks. Dimensions: 128mm x 13mm x 129mm. 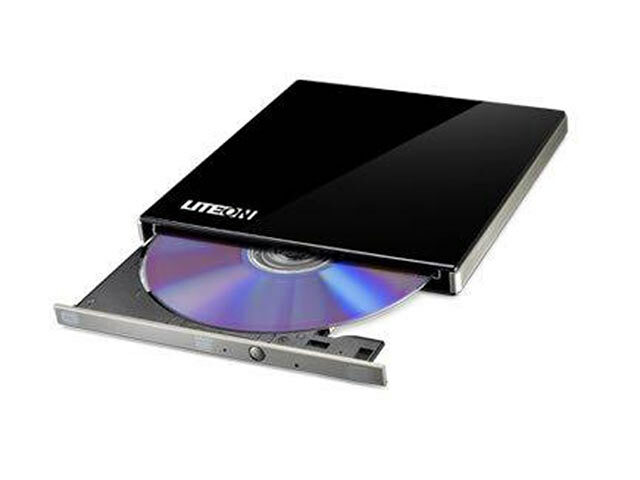 This portable slimline tray loading USB 2.0 Multi Drive is perfect for installing Mini-ITX systems without a CDROM slot, or for installing multiple machines. Powered by your USB port, no AC adapter is necessary. Cable tucks into groove in body when not in use.